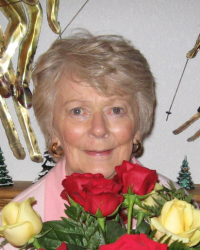 On Sunday, March 24 2019, Clara Joy Gilliland, loving wife of Jim Gilliland and mother of Brian, David and Eric Gilliland passed away at the age of 84. 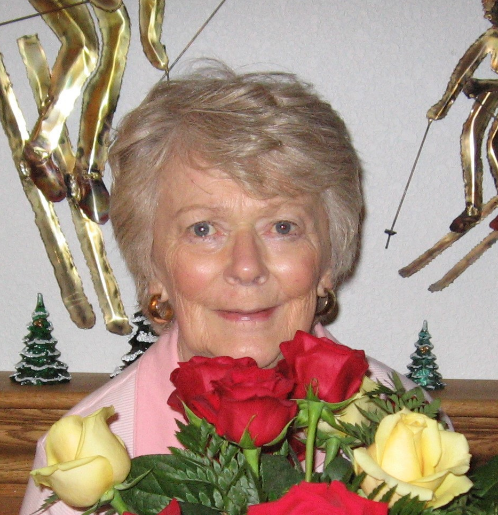 Clara Joy Skjersaa was born Nov 7 1934 in Bend, Oregon to her parents Nils and Edna Skjersaa. While growing up in Bend, Clara enjoyed playing the piano, singing, swimming and snow skiing in the mountains of central Oregon. Clara met the love of her life, Jim Gilliland in Bend. Jim and Clara enjoyed many activities together. They shared a love of music, particularly a cappella choir as well as snow skiing. Clara and Jim married in June 1955, began their family and traveled the world while Jim served in the military for more than two decades. After Jim’s retirement from the military Clara served the Washington state school system for almost two decades. Clara was preceded in death by her father Nils, mother Edna and son David. Clara is survived by her loving husband Jim, sons Brian and Eric, sister Marcia Rose, grandchildren Amber, Sisi, Connor, Tyler, Katie, great granddaughter Alice and a large extended family’s grand and great grandchildren. A funeral service will be held on Saturday, April 6 2019 at 11 am at Saint John’s Lutheran Church in Chehalis, WA.